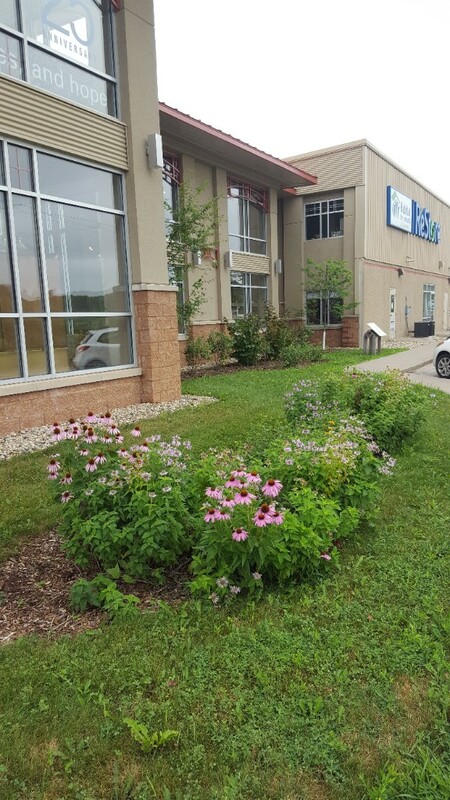 Rain gardens at the Habit ReStore are in full bloom. 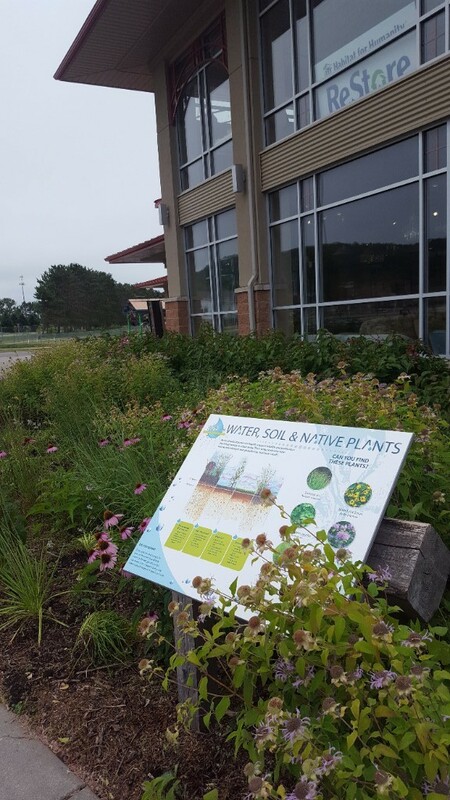 IF YOU HAVEN’T SEEN THE RAIN GARDENS AT THE HABITAT RESTORE….YOU ARE MISSING OUT! In 2016, the Habitat for Humanity ReStore was completely transformed to be the “poster child” for proper ways to control stormwater runoff. Now, two years later, rain gardens are in full bloom, edible gardens are producing fruit and runoff is beginning diverted and kept out of our local rivers and streams. To fully appreciate any rain garden, it takes patients. After the initial installation, you are going to spend the first year or two maintaining the garden. This includes watering, weeding, removing debris, cleaning inlets and monitoring your plants. Just remember, the maintenance of your rain garden will evolve and decrease over time. By the second or third year, you will have deep rooted, native plants and flowers that are grabbing rainwater, and allowing it to soak into the ground naturally. To see more about the Soak It Up! Project at Habitat Restore, click here. To learn how you can be rewarded for building a rain garden on your property, click here. Native plants; including orange and purple coneflowers, bee balms, bush honeysuckles and wild nodding onions, are THRIVING this time of year. Large and small rain gardens are literally buzzing with activity from various pollinators, and edible plants are producing amazing ripe fruit! Be part of the solution, and build a rain garden on your property today. You can construct beautiful, natural, cost effective landscaping that not only creates habitats for important pollinators, but also helps keep pollutants out of our local waterways.